The seized products are valued at approximately €375,000 and included anabolic steroids, sedatives and erectile dysfunction medicines. At the announcement, the HPRA stressed the significant health risks associated with sourcing prescription medicines online or from unauthorised sources. 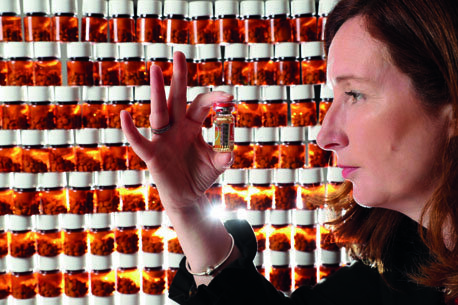 Pictured with some of the detained medicines is Dr Lorraine Nolan, CEO, HPRA.